Make the crust: Preheat the oven to 350 degrees F. In a food processor, process butter and one-third of the coconut until mixture forms a ball, 1 to 2 minutes. Transfer to a medium bowl. Sprinkle remaining two-thirds coconut over mixture and combine with your fingers. 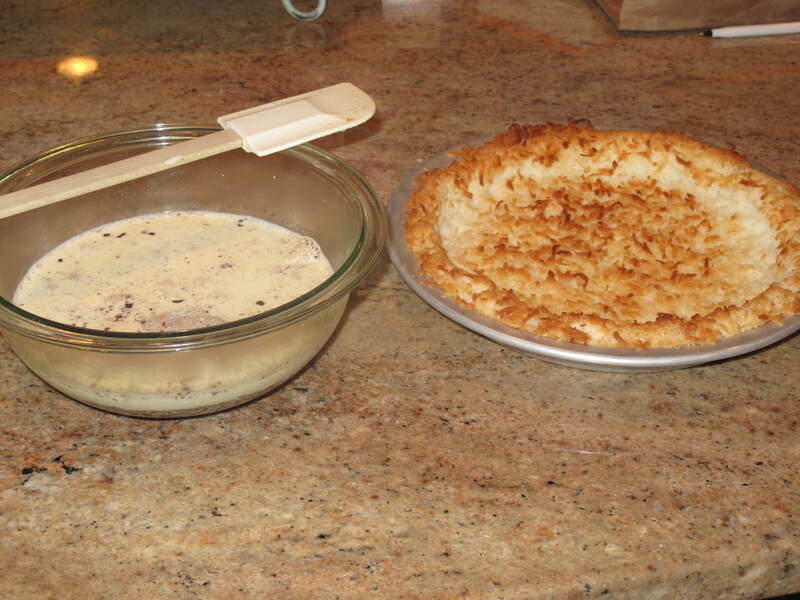 Place a 9-inch pie plate on a parchment-lined rimmed baking sheet. 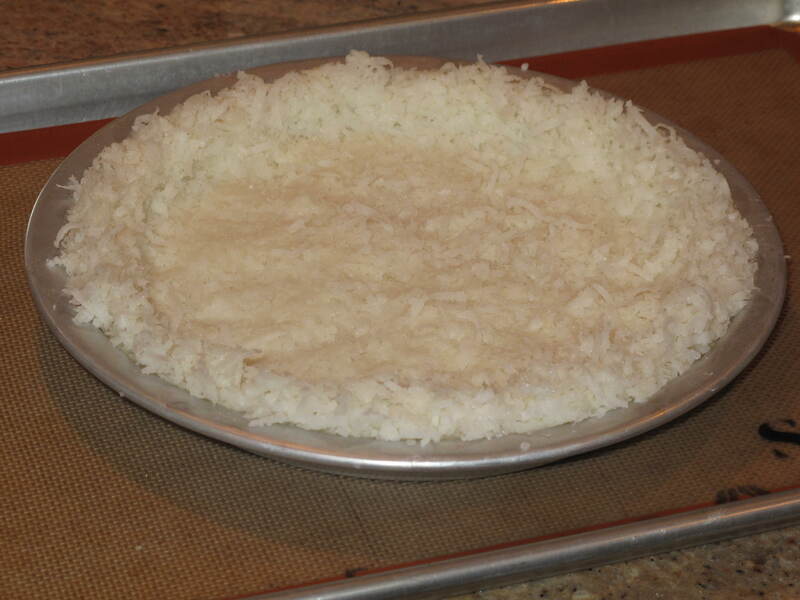 Press coconut mixture into bottom and up sides of pan to form crust, leaving top edges loose and fluffy. Place a foil ring over edge to prevent burning. Bake until center begins to brown, 10 to 15 minutes. Remove foil and back until edges are browned, 4 to 6 minutes more. Transfer crust to a wire rack to cool completely. 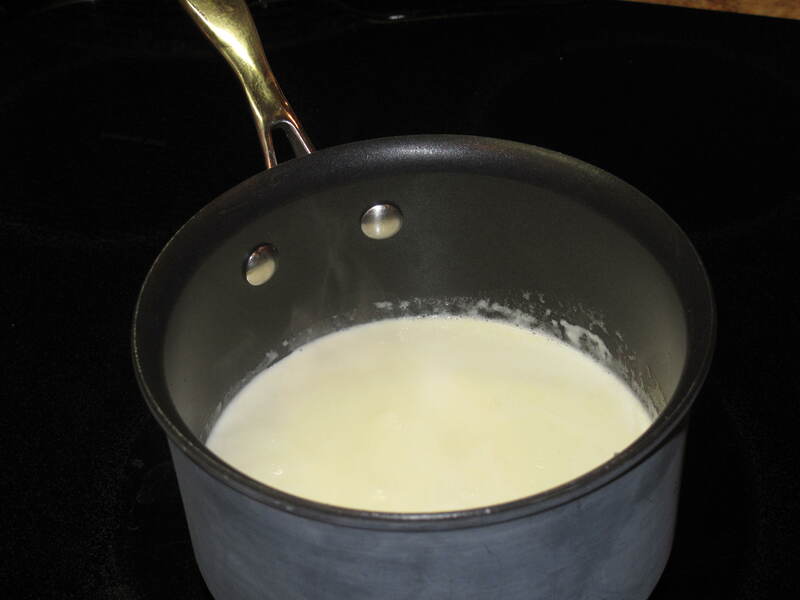 Make the filling: Bring cream just to a boil in a small saucepan. Pour over chocolate in a medium heatproof bowl. 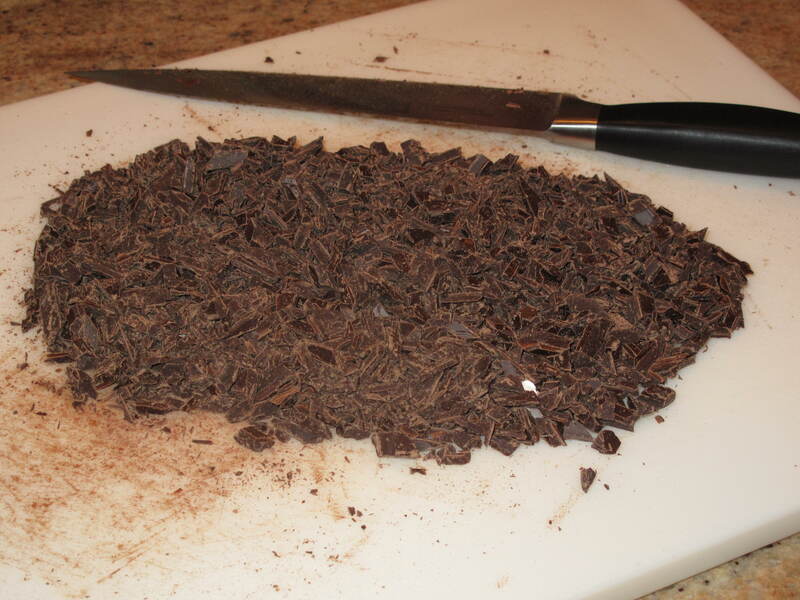 Let sit 10 minutes, then stir until chocolate is completely melted and mixture is combined. 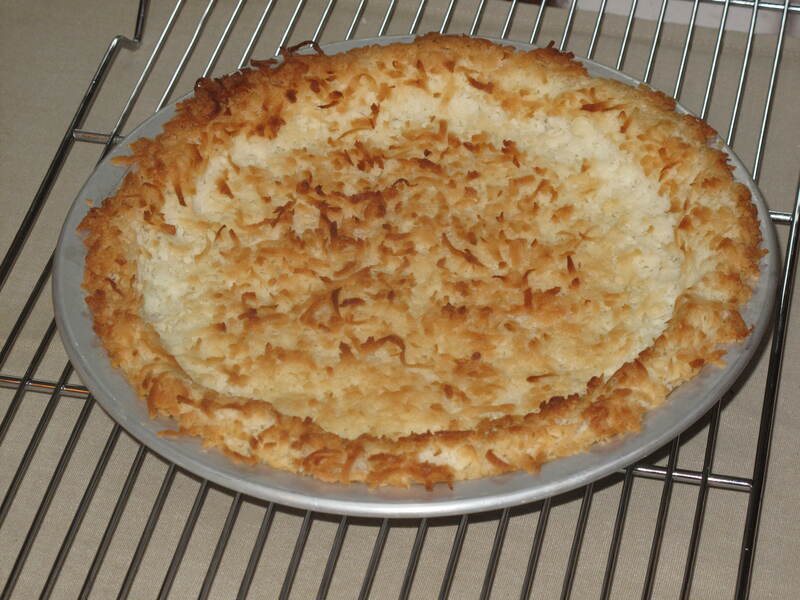 Pour into coconut crust. Refrigerate until filling is set, 1 hour or up to 1 day. There you have it: ready, set, eat. It sort of reminded us of a deconstructed chocolate macaroon. It was the perfect match to our simple supper of salad, breaded chicken cutlets and whole wheat linguine aglio e olio. 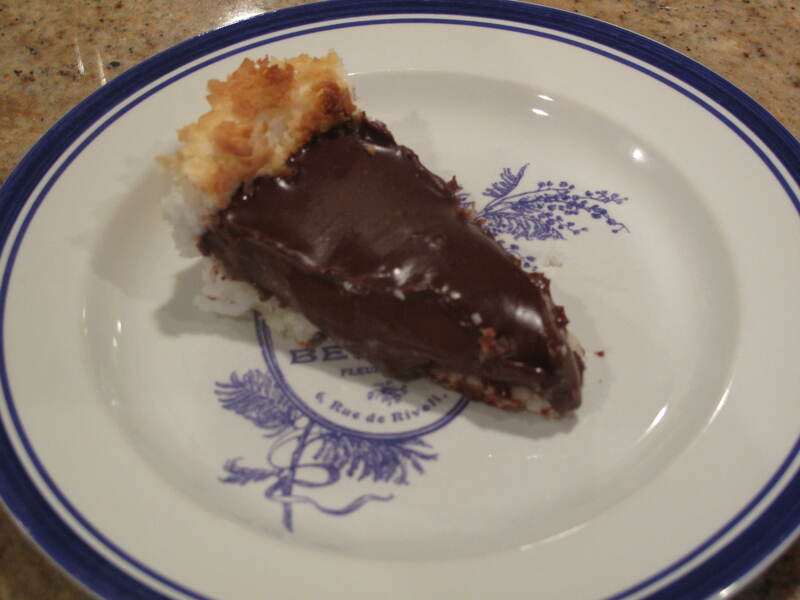 Nothing fancy and time consuming–just a quick mix of chocolate and coconut. Life is good. What do you use when you need dessert in a jiffy? This entry was posted in Food and tagged Acorns, Baking, Blog, Cooking, Family, Food, Fun, Life, Lifestyle, Love, My Life, Photos, Recipes. Bookmark the permalink. 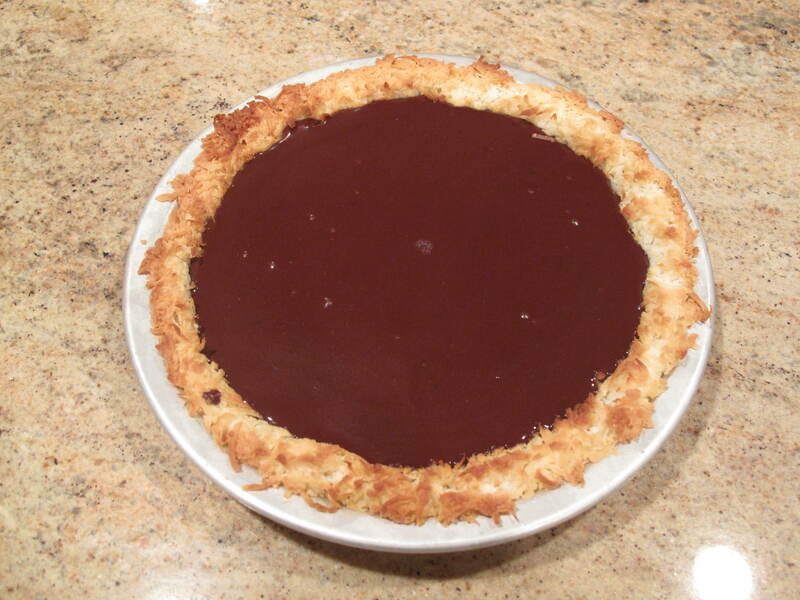 Very cool, Katherine’s been wanting to make a chocolate pie. Hi Rufus’. It’s pretty good. Have to like coconut as well. Hi and welcome to Acorns On Glen. Thanks for your comment. It was really good and quick. The perfect recipe. Hope you try it. Come visit us again. I would love this. As said above with choclate and coconut it has to be delicious. Hi Carolkin. It was really good. Very quick to make as well.